Blu-ray discs set for capacity hike? 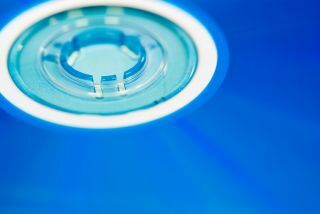 Blu-ray discs are set to get a memory increase, with both Sony and Panasonic looking into ways to pack more bytes on to the format. The increase, if it goes ahead, will see Blu-ray's disc capacity rise to 33.4GB a layer, from 25GB. This could theoretically mean that we will see 66.8GB dual layer discs in the near future. The reason for the changes to capacity is not mentioned, but TechRadar would hazard a guess that it has something to do with adding 3D to discs. This, according to the BDA's rules, would have to be done to a standard of 1080p to each eye, meaning two separate memory-sapping 1080p Full HD streams would have to be burned to each Blu-ray. The way the data increase would work is by reducing the error rate on discs through something called an i-MLSE (Maximum Likelihood Sequence Estimation) evaluation index. We should hear more on this at CES 2010, where both Sony and Panasonic will be promoting their Blu-ray and 3D wares. If the data increase does get the go-ahead by the BDA, it won't necessarily mean that hardware will have to be changed to read the new capacious discs – both companies are looking into a simple firmware update to make existing players compatible.